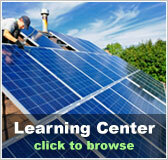 Maryland free solar evaluation | Solar Panels | Solar Power | Site Map | Bookmark This Site! In Maryland, space is at a premium. So the decision to buy solar kits and fill your yard (or roof) with solar panels is not one to be taken lightly. How do you know if the space you use will be worth it? 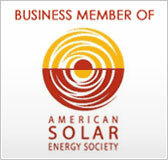 the simplest way is to take our free solar evaluation. 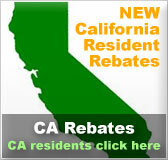 It can help you determine what kind of return you will get on an investment in solar power. You see, while the sun shines nearly everywhere on earth, all spots do not receive equal coverage. The most blatantly obvious differences result from landmarks such as hills, bluffs, or even mountains; but even buildings can cause problems in harnessing the power of sunlight. Because all of the US, including MD, is located north of the equator, the sun shines more on the south side of structures and landmarks than the north. In addition, the further north you go, the less direct the sunlight becomes. 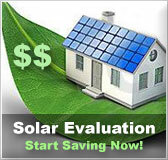 A free solar evaluation takes into account all of these factors to let you know what might mitigate the effectiveness of solar power in your area. It also helps you estimate your power usage, so that you know how many solar kits it would require to completely meet your power needs.